Happy Wednesday, friends! I have not participated in WILW since August 3rd!! Holy mama. I need to get back on it. I'm loving that I'm lucky enough to have a class of 12 as a first-year teacher. They definitely feel like 30 sometimes though! I'm loving the space unit we started yesterday! I really haven't done any full-on units yet - just tiny mini-units on September 11th or Labor Day or Grandparents' Day. But after seeing a few other teachers' space unit ideas, I thought that would be a good first unit! I never really liked science as a kid, and I don't want my class to feel that way. I'm trying to make this unit as hands-on as I can! Today we did a lab which helped us understand what causes day and night. We made models of the earth with foam balls and unsharpened pencils and then shined a light on the ball, which represented the sun! The kids really liked this a lot and it was a pretty inexpensive activity. Tomorrow we study the Sun! I'm loving that my first Scholastic book order came today!!! Even only having 12 kids, our class bought $150 worth of books! Although I have to confess that my mom ordered some books for my cousin's birthday... haha! But because of our amazing total, I got a ton of free books!!! I had $10 to spend in both SeeSaw and Lucky catalogs, and then I got free book packs from both also!! This made me sooooooo happy, because I love books! And the kids were excited about my free books too since they know that they'll be able to read them as soon as I categorize them! Too many exclamation points!! I'm loving my bff Nicole who also helped out my class by buying the Hunger Games trilogy! They were a great price and they came with a Mockingjay pin! Now we have to get together so I can give her the books. 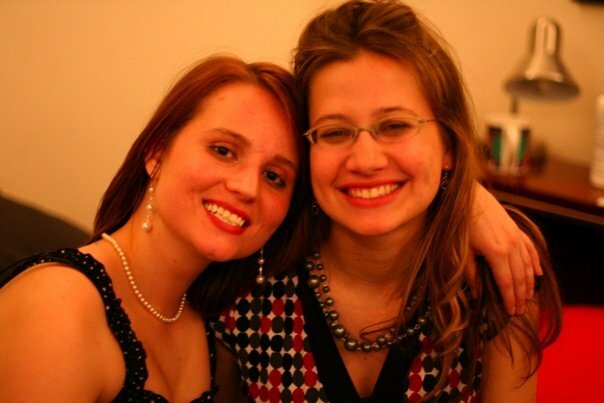 :) Also I am loving this picture of us from New Year's 2009!! I'm loving the education honor society I'm a member of - Kappa Delta Pi. As we speak, I am participating in a webinar about getting kids excited about reading and writing! However, I plugged in my headphones and nothing is happening, so I'm not loving that so much. I also got my New Teacher Advocate magazine in the mail from them today! I'm loving that my kids get excited about morning meeting. I truly have no idea how to really do a morning meeting, but we do our best and they really look forward to it after morning work and routines are taken care of. They especially love when I play Start This Day With a Song from Jack Hartmann's Hip Hop Alphabop 2 cd. Okay, I need to figure out why my headphones don't work!! 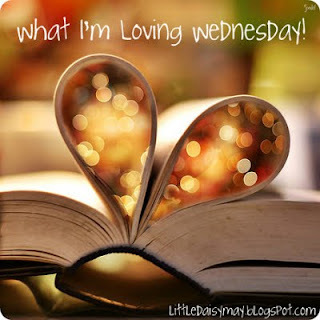 What are you loving today? Scholastic book orders are like Christmas when they come! Thanks so much for your comment on my blog. I'm so glad your pup was safe! Love your blog and am following!